In late February 2019, legionnaires of the 1st Foreign Regiment (1er RE), the HQ of the Foreign Legion, participated in a regimental exercise taking place close to Aubagne (southern France), their garrison town. See the video. March or Die… In Algeria on February 1, 1908, a blinding snowstorm overtook a company of the Foreign Legion during their march to a remote military post at the Algeria-Morocco border. Beaten by the severe snowstorm in a semi-desert land, tens of legionnaires died. Many other suffered frostbite and had to be amputated. Though forgotten these days, the disaster has remained one of the most tragic events for the Legion. Between October 8-12, the 1st Foreign Regiment (1er RE) conducted its annual military exercise called Vaillant (Valiant). This year, Exercise Vaillant took place at Camp des Garrigues, a military camp near Nimes in southeastern France. 86 years ago, in September 1932, the worst accident in the French Foreign Legion’s history occurred. In Algeria (North Africa), on the 14th September of 1932, a troop train was heading for Morocco, carrying a Legion battalion being ready for fighting with Moroccan rebels. In the afternoon, the train had derailed and fell into a ravine. Tens of legionnaires were killed, two hundreds of legionnaires were wounded. This Saturday, the French commemorated their National Day of the 14th July, called Bastille Day in the English-speaking world. As always since 1880, a large military parade in Paris occurred. Traditionally, the Bastille Day military parade took place on the Champs-Elysées, a well-known avenue in the 8th arrondissement. The Foreign Legion participated. As every year these days, members of the French Foreign Legion are training dutifully for the Bastille Day Military Parade, which will take place in Paris this Saturday, on July 14, 2018. 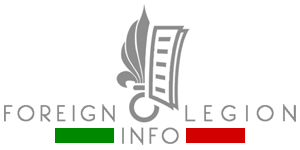 Apart from Foreign Legion Pioneers and the Music Band, legionnaires of the 2nd Foreign Infantry Regiment (2e REI) and the 2nd Foreign Engineer Regiment (2e REG) will also participate in the parade. Between June 22-23, 2018, the Foreign Legion HQ participated in the French Army’s Journée des Blessés (Wounded Soldier Day) and arranged a meeting + several cohesion activities for its wounded legionnaires. 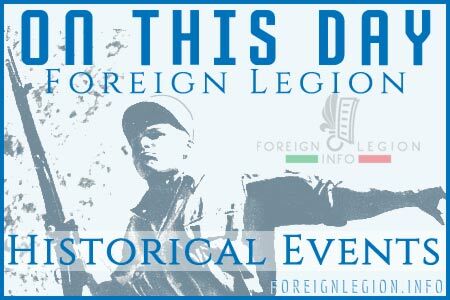 This Monday, April 30, 2018, the French Foreign Legion commemorated the 155th anniversary of the famous Battle of Camerone. This day is the most important day of the year for all current or former legionnaires of the Legion. The well-known battle is seen as a sample illustration of bravery and determination of fighting to the finish. 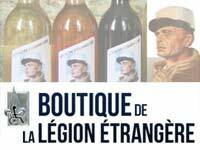 Because of that, the event became the sacred symbol of the Foreign Legion to be commemorated annually.